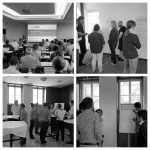 On Wednesday, 19 September 2018, the second GO FAIR workshop took place in Germany. At the Leibniz office in Berlin, representatives of various institutions met to tackle topics related to the fair provision of research data. 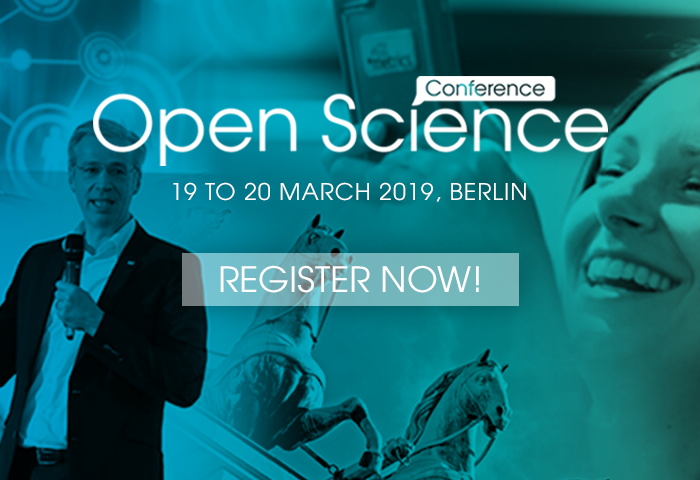 With an invitation to the broad scientific community, Hans-Josef Linkens, Head of Division D3 Digital Transformation in Science and Research at the Federal Ministry of Education and Research, started off the second GO FAIR workshop. He emphasized the participation of all research communities and stakeholders as a fundamental element in successfully shaping digital change. Only with their contribution reputation systems, data expertise and technological standards can become FAIR. Picking up this invitation Klaus Tochtermann, director of the ZBW – Leibniz Information Centre for Economics and strategic director of GO FAIR, explained the relation of the GO FAIR initiative to national efforts in research data management, to the European Open Science Cloud (EOSC) and to the Internet of FAIR Data and Services. Community-driven and bottom-up, the GO FAIR initiative creates an environment in addition to the largely funded EOSC projects. The cross-linkage of research communities including their infrastructure and service provider enables research data management to be organized at the national level: information exchange, participation and alignment with European developments. Considering the requirements placed on the National Research Data Infrastructure (Nationale Forschungsdateninfrastruktur, NFDI), the commitment to the FAIR principles will gain importance in the near future. This does not mean that solutions need to be immediately one hundred percent FAIR, but the commitment should be traceable. The GO FAIR initiative offers the possibility to get engaged as an implementation networks (IN) grouped into one of three areas of interest, the so-called pillars: GO BUILD, GO CHANGE, GO TRAIN. Click here for more information on the GO FAIR implementation networks. In the second part of the workshop it was clearly demonstrated that these three pillars are closely connected and mutually beneficial. The participants answered collaboratively a number of key questions focusing on one specific pillar and revealed a number of topics that will be taken up and considered more intensively within the GO FAIR initiative. How can repository providers ensure that the data submissions are FAIR? How could the technical support look like? General consideration: The meaning of Findable and Accessible for (meta)data is technically clear, while Interoperable and Re-usable are unclear. Define what FAIRness means on a technical basis? Consider the level of FAIRness from a scientific perspective (to prevent fulltime documentation). Design a seamless technical connectivity and develop workflows that allow automatic workflows. Connect curation services to services and repositories. Invest resources in community management. Offer a compliance check during the publishing process. Establish metrics and level of FAIRness. Establish a workflow reaching from managed data to long-term availability. Make use of feedback to improve and develop standards continuously. General consideration: Offer recommendations for action by drawing a road to FAIR and by explaining general objectives and related processes. Develop and apply consistent policies and RDM processes at every institution. Provide digital workflows and systematic IT support to close the competency gap between research and IT (e.g. data stewards). Enable the annotation of data already from the early beginning of the data creation process. Communicate data and software standards across communities and disciplines. Verify DMP and SMP throughout the research process. Establish incentives instead of formal requirements only (e.g. FAIR metrics, credits, review for data publication). What are currently the biggest challenges for the development of FAIR Software/Services/Infrastructures? General consideration: Management of requirements and expectations is one of the biggest challenges for the development of FAIR solutions. A clear definition of FAIR software/services/infrastructures for research data management is needed. This will allow the creation of appropriate evaluation criteria. Data diversity and community management are a challenge. Data validity as well as clean and continuous documentation throughout the research process is an issue. There is a lack of best practices, tools and applications. There is a lack of accepted impact and citation systems. Legal issues, such as licensing information and options are a hurdle. Financial resources and funding for the development of FAIR solutions are needed. What kind of support is needed in order to foster cultural change? General consideration: Different communities – different paces! Making FAIR handling of data (and other digitial research objects – e.g. software) a criterion for funding. Making FAIR handling of data (and other digitial research objects – e.g. software) relevant for career advancement. Making FAIR handling of data (and other digitial research objects – e.g. software) relevant for reputation gain. Establishment of an “culture of error”. Errors that occur during the data lifecycle should be acknowledged as normal and not result in “shaming”. Errors could for example be reported via anonymous systems (such as “LabCIRS”). It was assumed that an error culture can decrease researchers’ scruples when it comes to sharing data. What prevents you/your colleagues from providing your data in a FAIR manner? General consideration: Positive examples of fair data sharing need to be spread to gain more attention. Which advantages do you hope for when ensuring FAIR compliance? General consideration: Advantages are ranging from immediate advantages for the researchers to advantages for the society as a whole. Supports efficient research by fostering interdisciplinarity and enhancing cooperation opportunities. Machine readability and linking of data may lead to a usage above its immediate purpose. Citing increases the researcher’s impact and adds to the reputation. Preserves contextual knowledge on the data (interoperability). Receives funding for FAIRification efforts. Open licenses and transparent rules decrease bureaucracy. Trainers and lecturers in research data management need to be trained. Professionals need to be trained. This includes researchers, lecturers, persons from the management level as well as from industry, evaluators and reviewers, future curators and colleagues from the library sector. Further target groups are computer scientists who develop infrastructure and services. Legal experts belong to the wider target group, too. What is the essential content of a training? What is the best way to convey FAIR skills to specific target groups? General consideration: Create advisory services as well as general and discipline-specific training for different target groups. Including FAIRness in online tutorials on good scientific practice. Integrate FAIR skills into the curriculum. Offer online tutorials and webinars on good scientific practice. Organize workshops, meet-ups and “bring your own data”- hackathons. On the jointly sketched “Road to FAIR” it became clear that the pillars cannot be seen in isolation. It is like a multi-lane highway: implementation networks of all three pillars move forward, build up further competencies and thus contribute conjointly to the FAIR sharing of research data. Consequently, the GO FAIR initiative will offer thematic workshops and bring community representatives together. Based on the interactions with the implementation networks, the International Support and Coordination Office (ISCO) will provide recommendations for action and best practices with the aim of applying reliable solutions across disciplines. Within this environment, the FAIR metrics will be evaluated in cooperation with the implementation networks. And last but not least, training is considered as a crucial topic. Here, too, relevant players, such as the Rat für Informationsinfrastrukturen (RfII, the German Council for Scientific Information Infrastructures), or the working group of the Allianz der Wissenschaftsorganisationen (Priority Initiative “Digital Information”) must be brought together. The next GO FAIR event will take place on October 26, 2018 in Leiden, the Netherlands. Ministerial and research representatives of different EU countries will meet to move GO FAIR forward at ‘country level’. All implementation networks (INs) will have the opportunity to meet at the first international workshop which is planned for the beginning of 2019. Details will follow soon.